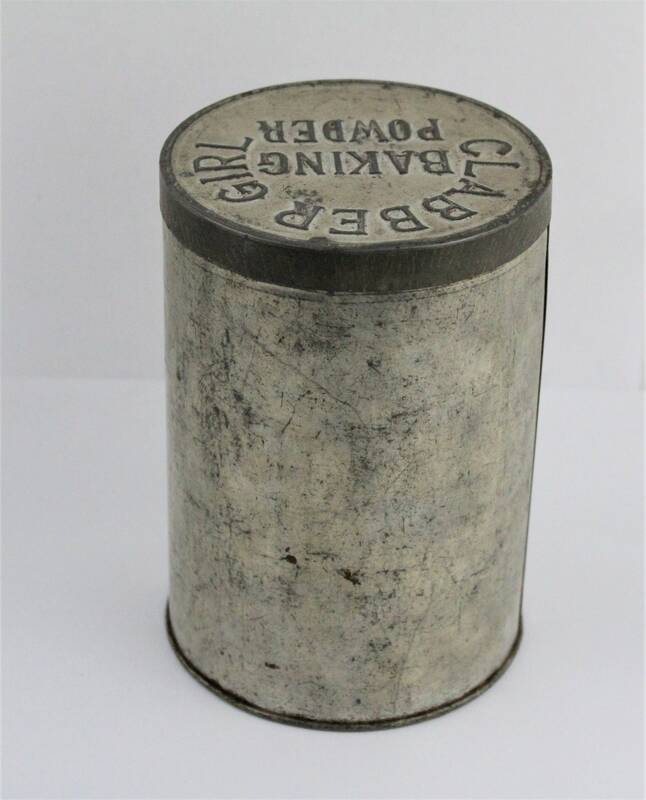 We have for sale a large wonderful vintage Clabber Girl Baking Powder tin. Unlike most of these tins there is no printing and no mention of ‘double acting’. 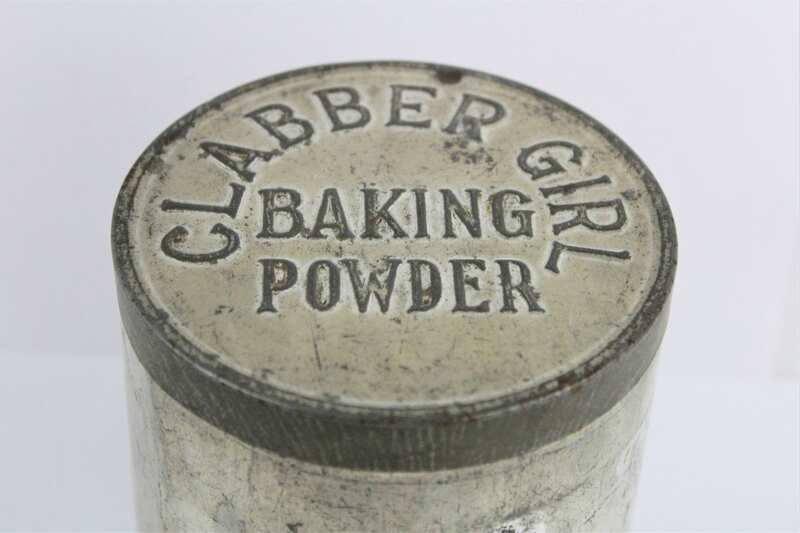 The firm fitting lid is stamped CLABBER GIRL BAKING POWDER. 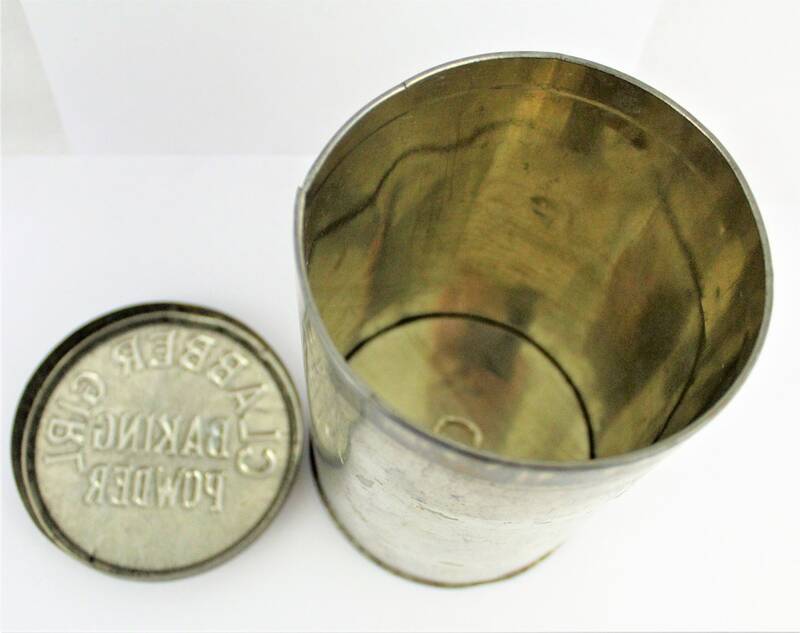 The tin and lid are in good vintage condition with minor dents, scuffs, rust spots consistent with age. There are no cracks or holes. Please see all photographs as they are part of the description. 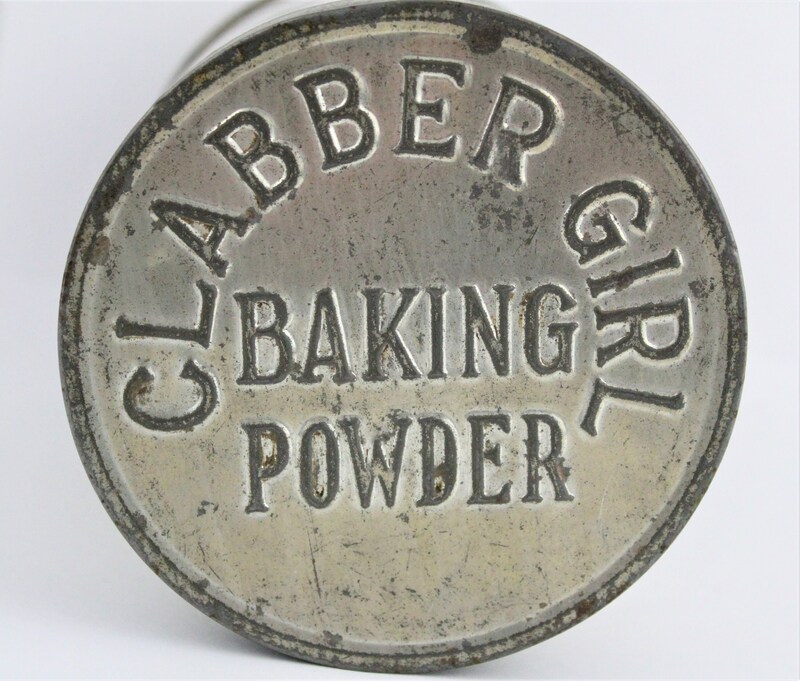 Clabber Girl is one of the oldest American food brands still in use. 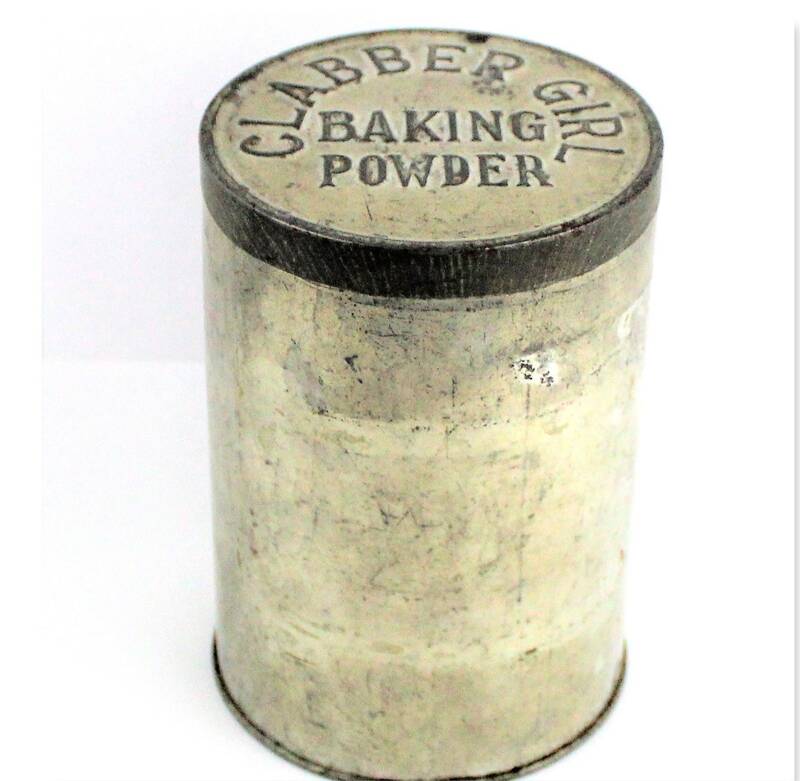 The Clabber Girl brand dates back to 1899 when Hulman & Co. introduced the Clabber Brand Baking Powder. 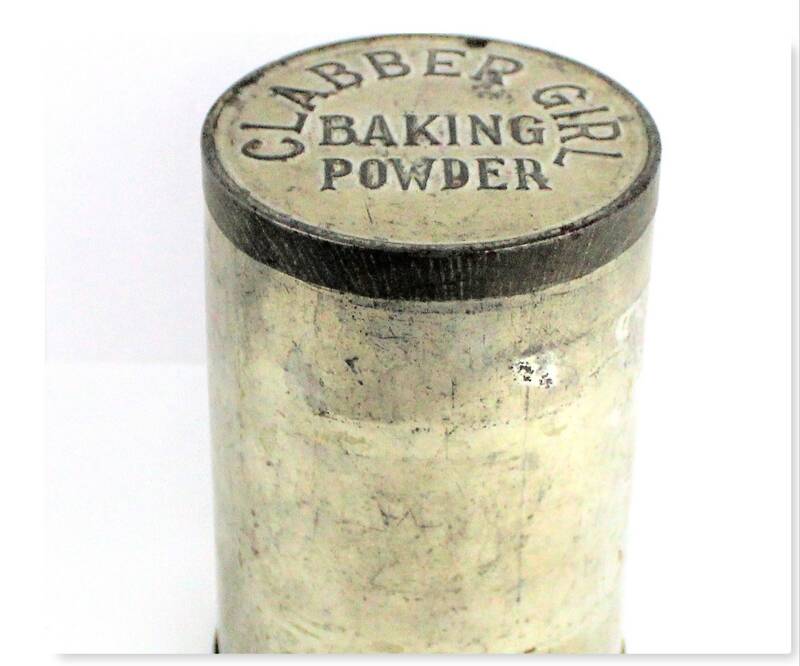 Before the creation of baking powder, people used sour milk, called clabber, to leaven their breads. 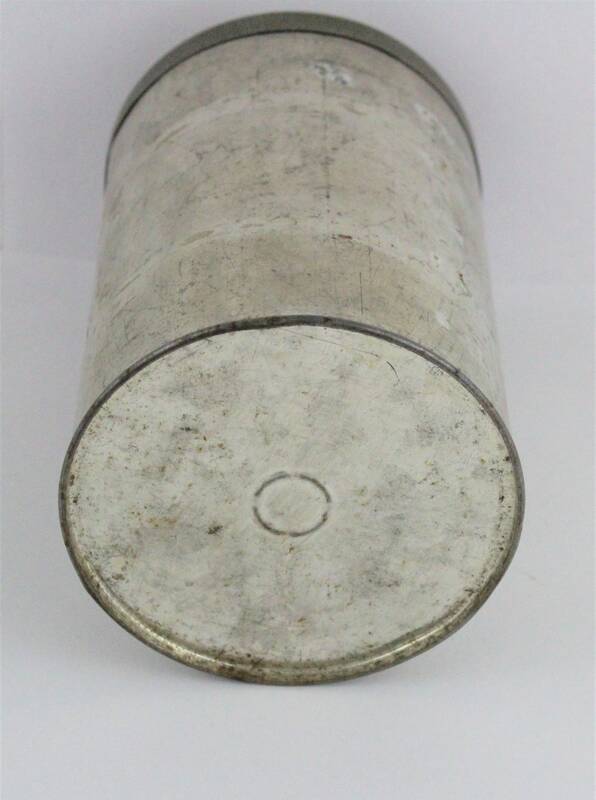 Measures: 4 ¼” in diameter and 6 1/8” high.